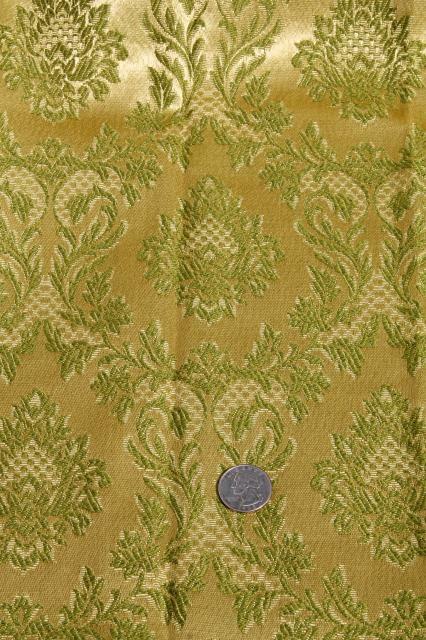 We love the retro green color of these vintage drapes! 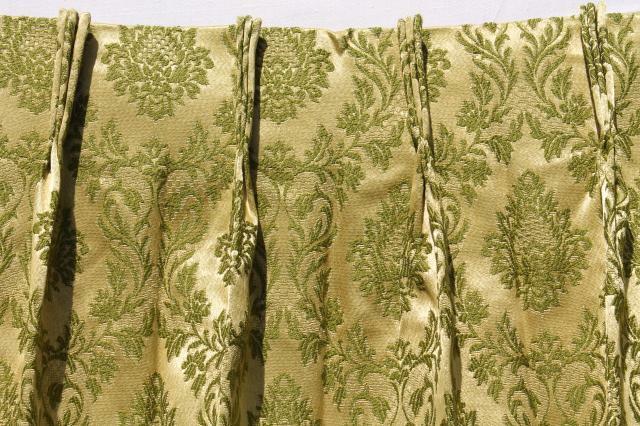 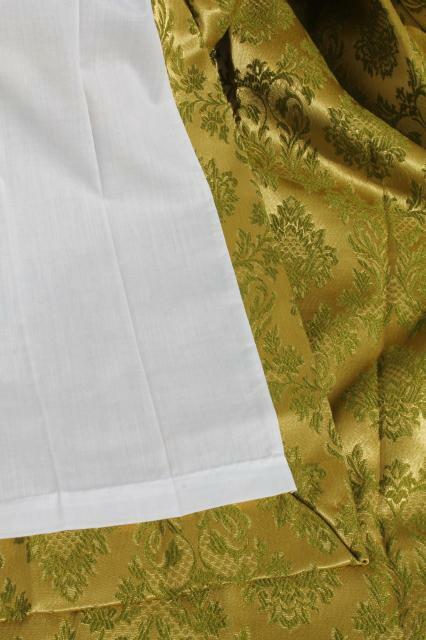 They're smooth heavy brocade without fading or discoloration, lined in a white cotton blend fabric. 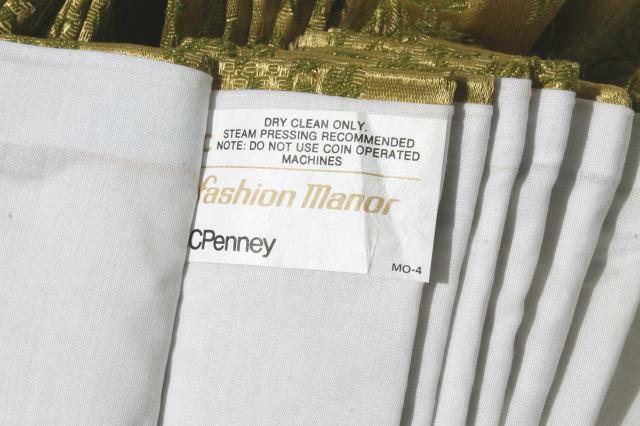 Label is Penney's Fashion Manor. 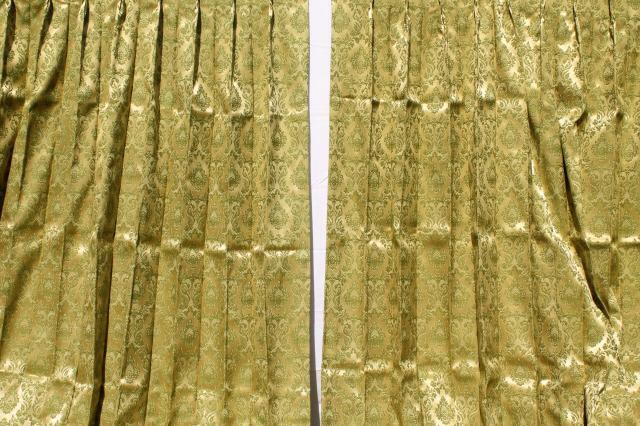 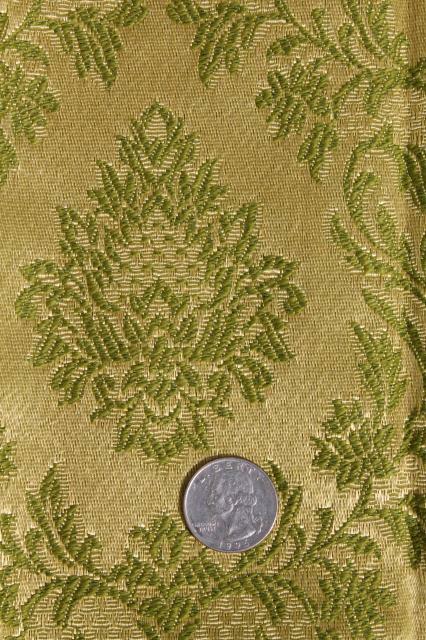 This is a set of two pinch-pleated panels, 51" wide across the top, 84" wide at the hems, 83" long. 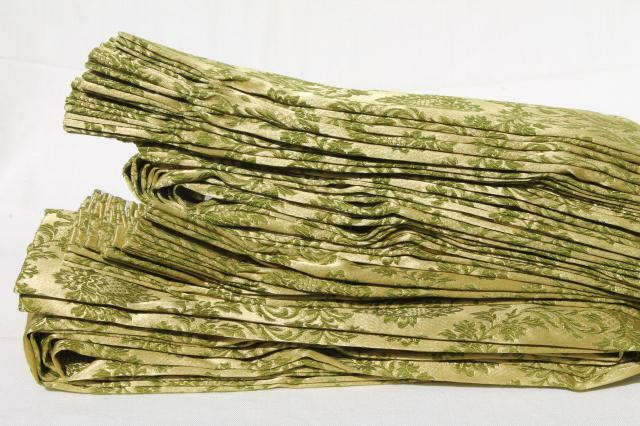 There's a lot of nice fabric here to use for upholstery if these don't fit your windows.